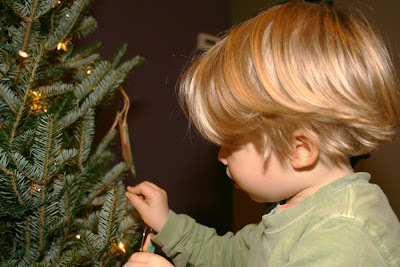 A favorite Christmas tradition at our house is decorating a fir tree, cut from a local farm, for our living room. 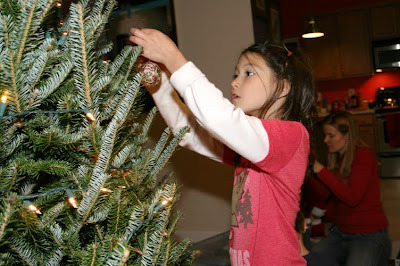 Every year, as we pull out the ornaments of Christmas past and relive the memories attached to those ornaments, I gift each of the kids with a new ornament acquired during the previous Christmas season to add to their personal ornament collections. 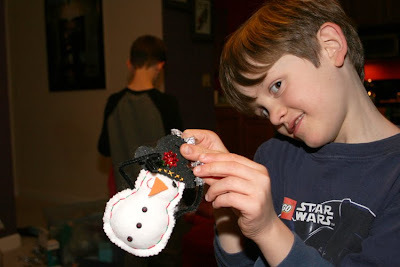 The last few years I've made a point to purchase handmade ornaments for the kids. Last year's new ornaments were all similar and from a local artist. This year I decided to appeal more to each kid's individual interest, and the ornaments were all purchased from different artists. 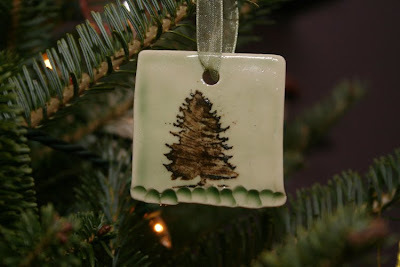 Paul was gifted this year with a ceramic tree ornament, purchased from Van Wagoner Studios. Elizabeth received a handmade Russian cloisonné ornament purchased at the Holiday Market in Union Square Park last December. This pirate snowman ornament, purchased on etsy, had Philip's name written all over it. 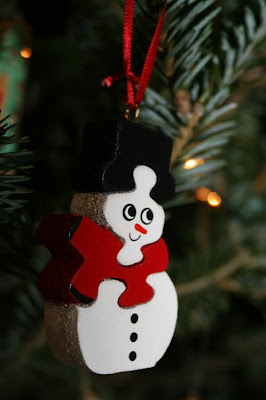 Finn's handmade wooden puzzle snowman also came from the Holiday Market in Union Square Park. And as my kids are enjoying their special new ornaments on our tree, there are bloggers from all over hand-making ornaments in encouragement of a very special mama who is currently battling breast cancer. 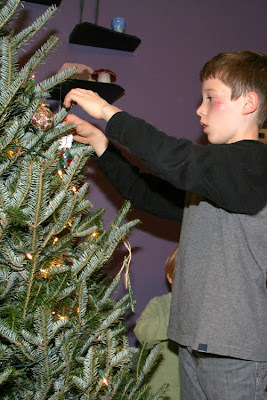 You can read more about Kelly's story, particularly moving is her letter to her son, on The Wellness Tree, a blog devoted to encouraging and bringing people together to send an ornament to brighten Kelly's holiday this year. As soon as I heard about Kelly, I decided to send the knitted garland, that brightened my home and yarn basket as I worked on it, to hang all the ornaments to be sent to Kelly. I hope she'll have the warmest Christmas ever and feel the Christmas love being sent to her across many miles. Such a beautiful post Joy. 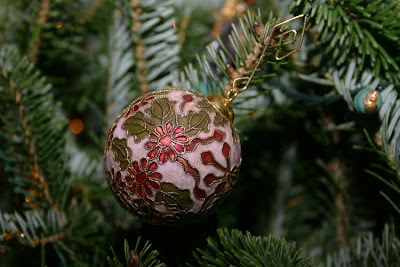 The ornaments are beautiful, what a sweet tradition! You are fabulous for knitting the garland as well for the Wellness Tree. Thank you! I love walking around the tree remembering stories about the ornaments on it--travels, friends, etc.! What a nice tradition to buy a new ornament for each child every year! That is a lovely tradition. 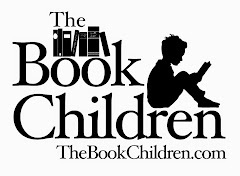 We started that several years ago and you have inspired me to begin again. So wonderful too about the garland. Joy, Thank you for sharing about the wellness tree. It's so wonderful to hear of all these lovely blogging ladies sending out handcrafted ornaments for a fellow blogger who needs a little extra love and warmth in her life right now. It's really very touching. Those are sweet ornaments that you picked out for the kids!